First off, thanks to the folks at Rogers who hooked me up with a Rogers line and phone so I could test out the new service now available to all of their customers for free: Rogers One Number (RON). 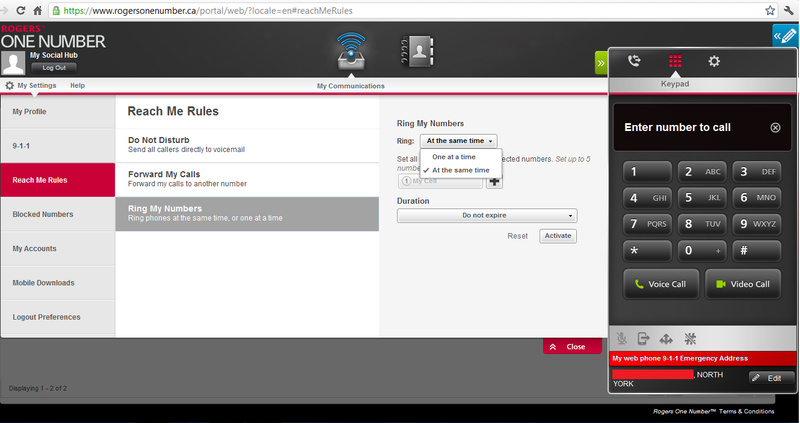 Rogers One Number is, in Rogers’ own words, ‘is a new service exclusively from Rogers [which] lets you talk, text and send picture messages, and video chat with other Rogers One Number users, all from your computer using your existing phone number.’ The RON dialog on your computer also allows you to add email inboxes so you can manage as many different methods of communication from one spot as possible. Before I get into my experiences I want to let you know my quick and dirty opinion on RON and if it is right for you. If you’re a Rogers customer sign up immediately. There is absolutely no reason not to, it’s free and it is a great tool to have at your disposal. IT #Protip: Restart computers/devices that act up. It fixes problems so often you’d be amazed. He didn’t respond to my last message aside from laughing about something I was being completely serious when relating even when I said that I was being serious. No “OK,” no “I totally will next time.” And there’s the thing – I know that he will call me again when he has a tech support issue and one of the first questions I will ask will be “Did you reboot?” and he will, of course, say no and I will, naturally, get frustrated with him wasting my time (which I am giving him for free). Then, he will wonder why I am getting so annoyed with him…we’re friends after all aren’t we? Shouldn’t I want to help him? Except he won’t remember this conversation when I did help him and did give him this magic bullet solution to a lot of his technology/gadget issues. 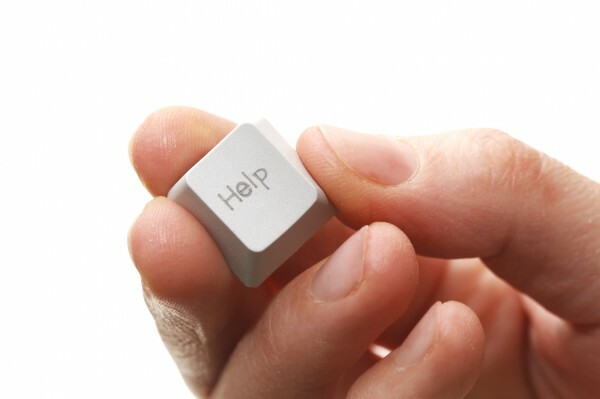 Seriously folks, even if you work in an office that has an IT Department paid to cater to your every whim before you call them about your computer/device/phone issue, restart it. This is not something that anyone who even has a passing understanding on how to use their electronic device should have any trouble doing. There is no secret code to do it and no hidden menus to accomplish this feat. It is simple, it is easy, and it fixes an astounding number of issues for computing devices. Even if you aren’t having any computer issues I always recommend giving your computer a restart every day if you can. Doing this clears the RAM and is just overall a good thing to do for your computer and it is amazing how many people don’t bother to do this. This also goes for iPhones, BlackBerrys. Android devices, iPads, PlayBooks, Android tablets, Macs, PCs and even the PalmPilot your dad still insists on using even though Palm stopped supporting it in 2001 because it still does everything he needs it to do and he has no reason to upgrade. See! Even they commented on it! I promise you if you restart your computer/device before calling IT or your friend who consider “a computer person” or “a technology person” you will immediately earn tons of respect from them when they ask “Did you reboot?” and you say “Yes, I did, but it didn’t help.” They will also be 1,000,000,000 times less likely to respond to your queries in a passive aggressive manner, get annoyed with you, or be slow to respond when you call for help the next time you need it. 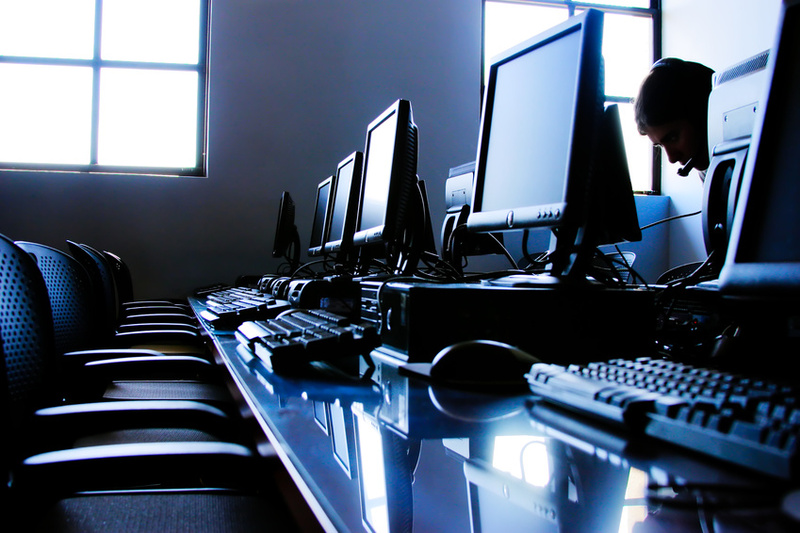 Images Row of Computers & Computer Help Key via Microsoft Office. 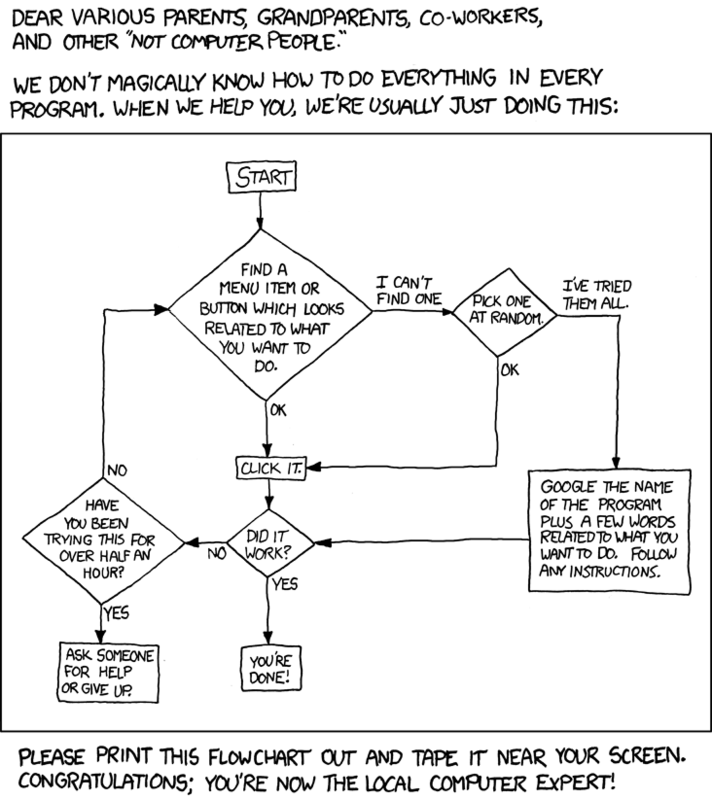 Tech Support Cheat Sheet via XKCD . I have been using this app called CardStar on my BlackBerry Torch 9800 for quite a while and I used it on my Bold 9700 and Bold 9000 before it. You can find them on Twitter at @MyCardStar. The point of the app is that it lets you store digital versions of your loyalty, reward and club membership cards right on your smartphone. 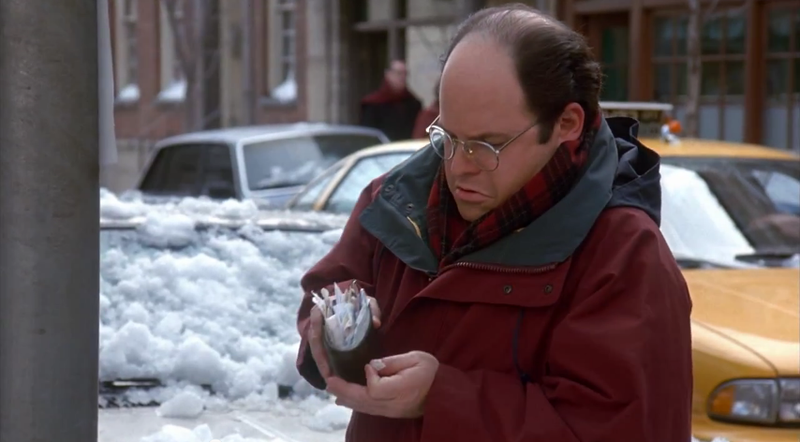 This lightens your wallet and makes me happy especially as a man who doesn’t want to look like he’s got George Costanza’s wallet. For most of us with smartphones it is very difficult to sometimes put our phones down. As you can see in the above picture from the Pepsi Refresh Project Tweetup by @PhotoJunkie we addicts to social media spend a lot of time on our phones tweeting even when we are out in public with groups of people. 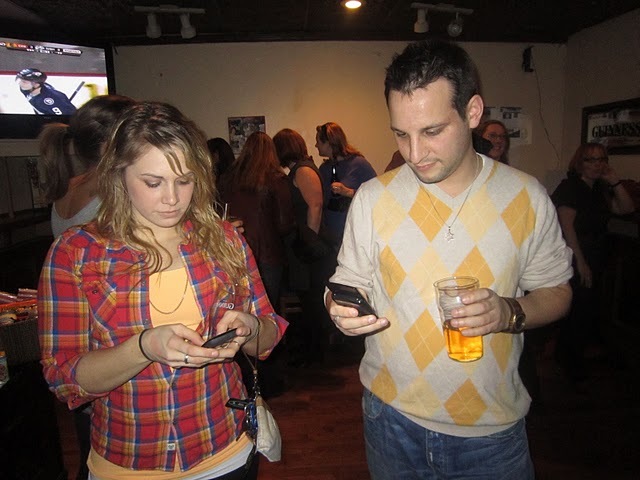 Most of us who are used to hanging out with fellow social media addicts do not think anything of it when people violate normal etiquette rules and are looking down at their phones while we are talking to them. We are well aware that (1) we do it too and (2) no offense is meant by it and (3) most of us are quite adept multitaskers who can listen to a conversation while tweeting about it too. When I’m tweeting I usually only have one hand free. Like in this picture of me with @Got2ridemyhorse from #XLBday88 by @The_JMoney (http://www.justinbaisden.com). However, one of the problems I often find myself having when I am out and about listening to a speaker or watching a performance and all the while tweeting/BBMing/texting/browsing the Internet is that I only have one hand which remains free for other uses. Often, it is true, this free hand is used for holding a beer as in the picture above but what do you do when the on stage act which you are tweeting about finishes and you are still busy with one hand on your phone? How do you show your appreciation with the rest of the crowd – who aren’t an addict like you and have 2 hands free – who are all clapping? We already know there is no way I’m going to stop tweeting to clap so there must be another way to continue tweeting AND clap at the same time without knocking my phone out my hands. (Hey, I already admitted I’m an addict, don’t judge me!) And so, I have come up with a brilliant solution which I would like to share with you – and please feel free to use it whenever you are out and about. What I do is I ensure I am not holding a beer in my otherwise free hand and I simply slap the side of my leg – below the pocket so as not to crush stuff in there – and it provides a very similar sound to the clapping of two hands together. In case you are wondering, I have experimented with slapping other parts of my body – no not my crotch, I wasn’t even trying that one – and they don’t work in terms of the awkwardness of hitting them repeatedly, and their very biological makeup. Your chest will not supply quite the same sound because it is largely hollow inside your lungs, also it is quite awkward smacking your chest while you are trying to tweet…that repeatedly moving hand is an annoying distraction! Slapping your opposite upper arm WOULD work except you’d probably run into the problem of dropping your phone and all the shaking will probably prevent you from tweeting. No, the leg/thigh region is the best place for you to slap as an ersatz clap for all of us social media/iPhone/CrackBerry addicts out there. Will People Pay +$5 For A FourSquare Badge? Are people really going to be willing to pay $5 (or more) for a FourSquare Badge? FourSquare is a game and right now badge collecting is a large facet of this game for a lot of people – especially those who don’t have many of their friends playing yet. To charge people to get a badge is slightly ridiculous and I personally don’t like the precedent it might set. I think the folks at FourSquare should be taking more time to figure out what use the points are going to be aside from being on a weekly reset leader board. Not that I don’t think there is value in the service of having WiFi on a flight and then you can get this badge as a side bonus – especially as the majority of people who use FourSquare right now are the more tech inclined. I would totally pay for WiFi on a flight…except for the fact that there are now airlines who are offering this service for FREE! (Virgin America since May 2009). I think, in fact, I would rather the price was built in to my ticket and the companies offering GoGo WiFi could claim it as “free WiFi” too. (For all we know Virgin does that as well). For myself, if I am looking at any flight longer than the short hop from Toronto-NYC (1 hour) I would be willing to pay a little bit extra on my ticket for “Free” WiFi. Also, if a company did this they could probably get away with charging less per person for people to have WiFi on their flights because everyone on the flight is paying for it. 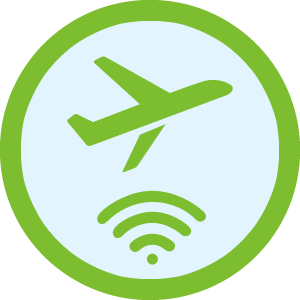 This differs greatly from offering “Free meals” on a flight in that the WiFi signal is going to be there regardless of how many people are on the flight. You don’t ‘waste’ WiFi if no one uses it – unlike meals which if people refused probably (or at least I hope) went in the trash. AND because a very high percentage of people have cell phones which are WiFi enabled (BlackBerry, iPhone, Android devices etc) even if they don’t bring their laptops, netbooks, tablets, e-readers, etc with them on the plane they can still benefit from the WiFi by using it on their mobile devices.